Have the New England Patriots been the best NFL team this century? Which NHL team has been the best since in the beginning of the 21st century? Which NBA team has the best winning percentage since the 1999-2000 season began? Which baseball franchise has won the highest percentage of games since 2000? The answers to the above questions in a second. As we get ready to close the book on 2016, I started thinking about which franchises in the four pro sports (MLB, NBA, NFL and NHL) have the worst winning percentages since 2000, or in this century… 17 years’ worth of seasons. If we go based strictly on winning percentages, the NFL’s Cleveland Browns are the “worst” pro sports franchise this century. The Browns, through games of December 21 (their recent victory over San Diego is not included in these totals) were 85-185, a .315 winning percentage. 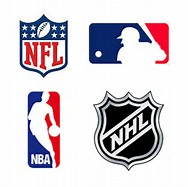 Following are the two franchises in each of the four pro sports leagues with the lowest winning percentages since 2000 (for the NHL and NBA, I started with the 1999-2000 seasons). NFL: Cleveland 85-185, .315; Detroit 96-174, .356. NHL: Atlanta .428; Columbus .432. So how about those with the best winning percentages? As you might have expected, the New England Patriots have been pro sports best team this century, based on winning percentage, compiling a 199-71 record (through games of December 21), a .737 winning percentage. The NBA’s San Antonio Spurs are the only other sports franchise over .700… they are 1002-404, .713. Here’s a look at the two franchises in each of the four pro sports leagues with the highest winning percentages since 2000. NFL: New England 199-71, .737; Indianapolis 175-95, .648. NBA: San Antonio 1002-404, .713; Dallas 886-521, .630. MLB: New York Yankees 1592-1158, .579; St. Louis 1550-1203, .563.